It started like a rolling thunder. But it ended almost like a lullaby. Lyrics of democracy on the mend. It could not have been predicted that the gubernatorial election in Ekiti state would end the way it did. No, it is not the loss by Governor Fayemi. Not even the victory by Governor-elect Fayose. It is the genteel, no-victor-no-vanquished, I-am-your- brother and you-are-a -saint embrace of both Fayemi and Fayose that has created this surreal atmosphere. Even Labour Party gubernatorial candidate Bamidele Opeyemi, despite his mega loss, had no anger. Just a few days prior to the election, the campaign leaders of the political parties could not find words harsh enough to describe their opponents. Violence, unrelenting and ascending, continually seized Ekiti, and tension enveloped a people who were well known for their hard headedness. Incumbent Governor Fayemi cried out that even his life was threatened when police bullets were shot in his direction whilst in a convoy. 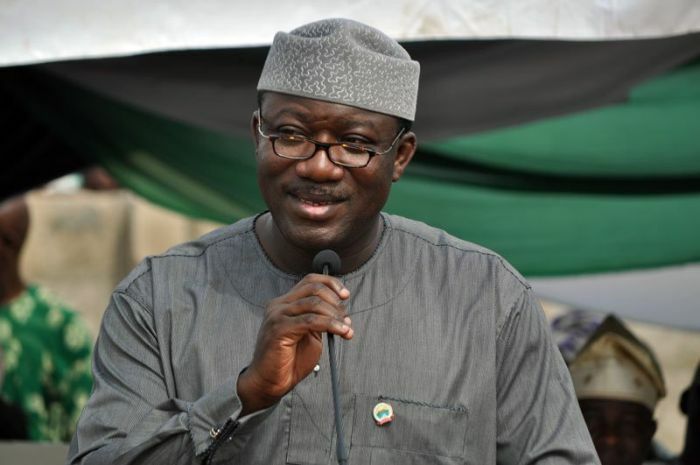 Applause has greeted the comportment of Fayemi for his acceptance of defeat with no rancor. He has even said that he would not contest the election. It is an unusual departure from after-act of political elections of which he profited in a court decision against his immediate predecessor, Governor Oni. Shortly after the recent election, Fayemi met with Fayose and they appear to be orchestrating a smooth, hugging-friendly transition of power. Analysts have gone to town to explain why Fayemi lost and Fayose won, or to assert that actually it was Ekiti people who won in their decision, and that democracy is the real victor.